The answer is simple, I spend more time looking for the picture instead of taking it. And of course, I would never leave home without my viewing cards. They are the ones that really assist me on finding the right composition. They are the ones that come out of my camera bag first. The gear for taking the actual picture always comes out of the bag last. You must have seen it yourself time and again. You know there is a picture in there somewhere, right in front of you but can't really see it. This is where the Viewfinder comes in very handy. It helps to isolate a specific area in your view and assist you to find the perfect composition, every camera bag should have one. I used to make my own cards from a variety of materials, they ranged from frame mounting paper to cardboard or even plywood. The problem was that one way or another I would have to make a new one as the existing one would get wet or break. I had to find a better solution to the problem. After extensive research, I ended up with a material that was very robust, flexible, waterproof and very light. This had to be Polypropylene. Laser cut with smooth edges and of course the appropriate 3x2 ratio that can be found in most common digital slr camera sensors today. The outer sizes are 125x100mm, perfect for standing up inside your camera bag (see picture below) without occupying any space but also being safe during transport. This post is not to promote my cards as you can make them yourself. It is rather to promote the idea that everyone should own one as it helps greatly. 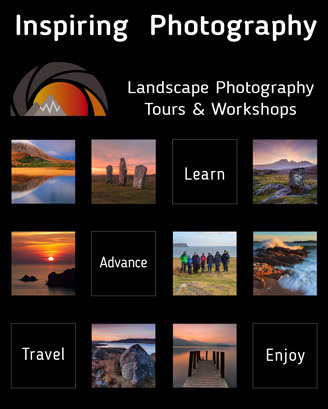 This is a simple time saving idea for composing landscape images. I can see that for me it would save time that I spend either removing and connecting the camera to the tripod for composing or having to make many adjustments to the tripod and lens (zoom) before settling on a composition. While the the hand and forefinger might work for some, it has many irregularities where the cards would give a more accurate representation. I thought that&apos;s what a viewfinder was for. If you must why not just use your hands. Thumb and forefinger at right angles touching to make a rectangle. It has worked for years. Sounds more like a workshop gimmick to me, but I suppose it may help some people. Having used one of his cards, I find it works much better than trying your thumb and forefinger as they are not accurate. As for the camera&apos;s viewfinder, of course you can use it but that means that you have to walk around with the camera in your hands. Dimitri: Great tip. I have carried along an old plastic 35mm slide frame for this very purpose for a long time now. I have a full frame camera so the 35mm slide shape works perfectly. It doesn&apos;t quite block out the "extra" view but over time I&apos;ve learned to see what&apos;s inside the frame. Yes, of course it does. I am not speaking for Dimitri but personally, the problem I had with them was that I found them very small and some times I had to stick it into my eye in order to find a composition.